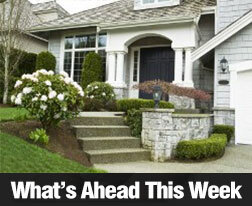 Last week brought a variety of housing related news. Highlights included the S&P/Case-Shiller Home Price Index for July, which showed a 12.40 percent year-over-year increase in national home prices. This was up from 12.10 percent in June. The FHFA Housing Price Index reading traces home prices on properties securing mortgages owned or backed by Fannie Mae and Freddie Mac. The year-over-year reading for July showed an increase of 8.80 percent as compared to a year-over-year reading of 7.80 percent in June. Rising mortgage rates and rising home prices have caused some buyers to leave the market, while others are jumping in before mortgage rates move higher. 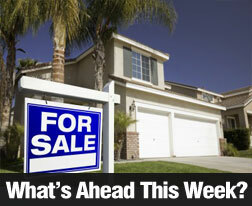 Pent-up demand for homes and short supplies of homes for sale are expected to sustain buyer interest and home prices. The Consumer Confidence Index for September fell to 79.70 percent for September as compared to August’s reading of 81.80 percent, but was slightly higher than the expected reading of 79.50 percent. Sales of 421,000 new homes in August surpassed expectations of 420,000 sales and the revised number of 390,000 sales of new homes in July. A short supply of existing homes for sale is attracting buyers to new homes. Freddie Mac’s weekly Primary Mortgage Market Survey provided good news as average mortgage rates fell. The average rate for a 30-year fixed rate mortgage was 4.32 percent as compared to last week’s 4.50 percent. The average rate for a 15-year fixed rate mortgage was 3.37 percent as compared to last week’s reading of 3.54 percent. Discount points were unchanged at 0.70 percent. The average rate for a 5/1 adjustable rate mortgage was 3.07 percent, which was four basis points lower than last week. Discount points were unchanged at 0.50 percent. 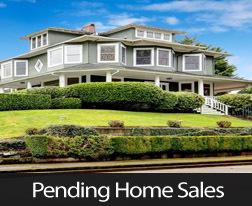 Pending home sales fell by 1.60 percent in August as compared to July; the National Association of REALTOR cites higher home prices and mortgage rates along with depleted supplies of available homes as reasons for fewer signed contracts in August. The West reported a drop of 1.60 percent in pending sales and the Midwest reported 1.40 percent fewer pending sales in August. The Northeast came out ahead with 4.00 percent more pending home sales in August. Weekly jobless claims were reported at 305,000 new jobless claims as compared to expectations of 327,000 new jobless claims and the prior week’s reading of 310.000. The Federal Reserve recently cited the national unemployment rate of over seven percent as a clear indication that employment levels are not recovering quickly. While few housing and mortgage related reports are set for release next week, the calendar should provide indications of overall economic conditions. On Tuesday, Construction Spending for August will be released. Wednesday brings the ADP employment report for September. This report tracks private sector jobs. 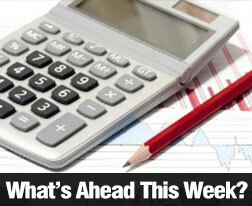 Thursday brings Freddie Mac’s PMMS report of average mortgage rates and the weekly jobless claims report. The federal Non-farm Payrolls and National Unemployment Reports for September are set for release on Friday. Last week was relatively calm due to the Labor Day Holiday on Monday providing little mortgage and housing related news. 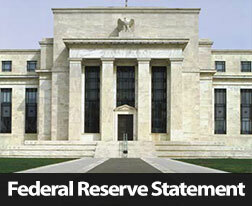 However, there were several positive indicators for overall economic conditions. Construction spending rose by 0.60 percent in July and surpassed economists’ expectations of 0.30 percent and June’s zero percent growth. While this may seem a small increase, any indication that construction spending is increasing could indicate that residential construction is ramping up. This would be good news for home buyers, who’ve been facing a shortage of available homes in many areas of the U.S.
Federal Reserve districts reported rising consumer spending in most districts, modest expansion in manufacturing and moderate residential real estate sales. Higher mortgage rates may have dampened home buyer enthusiasm, but an ongoing shortage of available homes is also likely to have contributed to slower sales. Mortgage rates will likely rise if the Fed tapers its $85 billion monthly purchase of mortgage-backed securities and Treasury bonds as demand for bonds is expected to decrease. When bond prices fall, mortgage rates usually rise. ADP released its report on private sector jobs added for August; 176,000 jobs were added against expectations of 185,000 jobs added and July’s 198,000 jobs added. The three-month rolling average of private sector jobs added shows steady job growth as jobs added rose from 140,000 in May to 188,000 jobs for August. 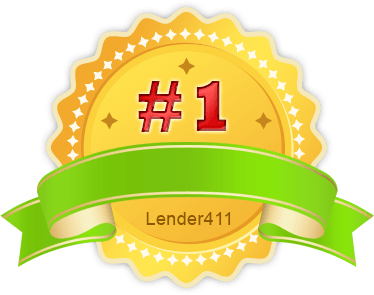 Freddie Mac’s Primary Mortgage Market Survey reported that the average rate for a 30-year fixed rate mortgage rose by six basis points to 4.57 percent with discount points unchanged at 9.70 percent. The average rate for a 15-year fixed rate mortgage rose by five basis points to 3.59 percent with discount points unchanged at 0.70 percent. The average rate for a 5/1 adjustable rate mortgage rose by four basis points to 3.28 percent with discount points unchanged at 0.50 percent. According to the Bureau of Labor Statistics Non-Farm Payrolls Report for August, 169,000 jobs were created, which fell shy of expectations of 173,000 new jobs. Expectations were based on the original number of 162,000 jobs created in July, but July’s number was revised downward to 104,000 jobs created. The unemployment report for August was 7.30 percent, down 0.10 percent from July’s reading of 7.40 percent. The combination of higher mortgage rates, persistently high unemployment and fewer jobs created could signal the Fed to postpone its plan to start reducing its monthly securities purchases. This week’s scheduled mortgage and housing news is relatively flat, but Freddie Mac’s Primary Mortgage Market Survey will provide the last indication of mortgage rates’ direction before the FOMC meeting on September 18. 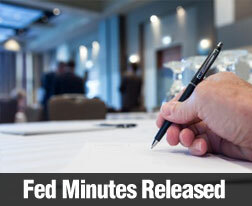 The Fed will also likely be watching the Weekly Jobs report and the University of Michigan’s Consumer Sentiment Index as part of its decision-making process on whether to taper or maintain current QE securities purchases.